I have started to consider what I want to do when I am free of the office jail. (It really does feel like a jail) – I am not sure if I have blogged this before but the office I work in is an eco building. That in principle sounds great and it is, but it has these computer controlled automatic shutters on the windows – which when they grind into action shuts out the light like some kind of security doors – it just needs the pulsing alarm lights and siren to make you feel like you have been imprisoned in the employers office for the day. It reminds me of the original Total Recall film when the zone doors and air units are shutdown. It is quite oppressive, floor to ceiling windows, sealed by metal automatic shutters that block out the view of the world, creating a windowless dark box of worker drones. So, with that in mind I have started to wonder what I could do when I am free. 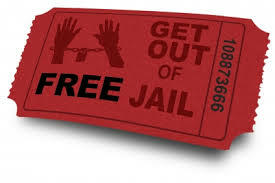 My ticket to freedom needs to be printed and used!!! I suddenly started to get the ‘Eureka’ moment the other day. I can start drawing and print making again. Why might you say? Well, my first degree was in Art; I studied sculpture, print making, drawing, photography and my original plan was to get a job in the Art field. As I neared graduation I realised that job opportunities were slim and also very low paid. So I cross-trained by completing my second degree in IT. I then thought I would get a job work hard, stash loads of cash then use that to fund my art. The only problem, the IT job took over all my time, even my ‘non-work’ time (out of hours escalation 😦 ) and I was tired and lacked the energy to do any art. Part of the example of lifestyle inflation, other things took over and my art interested petered out to nothing. I now long to restart my art. I have been looking in all the quirky independant shops where they sell cards and gift wrap. I could do that, produce gift/post cards, wraps, prints and pictures that could be sold. I have started to research printing and print companies that can reproduce limited editions and card runs. I know this will not make loads of money, but that is what my “Honey Pot” is for, that provides my baseline income stream to keep me going. My art adventures would be the icing and the side hustle. The less pressure on the side hustle the less the creative mental blocks there will be. There is nothing more soul destroying than ‘artist’s block’ which is caused by the knowledge that you must make good designs that will create income. That’s why you hear of all those musicians who appear with a big hit single or album then disappear because they get ‘mental block’ and cannot get in the zone and produce that second album. My sketchbooks are out, my camera poised and my fresh artistic eyes and mind are now starting to look at the world in a different light. If money does become an issue, I could always jump back into a ‘office box’ to do some work but after years inside the jail, I now feel I need to be out in the light and the environment. As you can see the fresh thoughts and ideas are now starting to flood in and replace those heavy dragging thoughts of ‘office drudge’ and the work slavery that has snared me up to now. I have started researching way to market. Someone I know is selling commissioned paintings via facebook. She is getting at least 3 commissions per month – which is pretty good. It is not enough for her to give up her day job though. These are all starting points. The light is begining to grow brighter and the escape from the ‘office jail’ becomes nearer and viable. Read TEA’s post on achieving Fi and just had to re-post – Love his blog !! The problem of lifestyle inflation is just so apparent in society. I was amused by the interview where the interviewers who were obviously on wonderfully high salaries couldnt retire. I was once in that mode. I was living with an ex-partner and we had good jobs, bought a large house in a ‘well-to-do’ area and seemed to ‘have it all’. Our families were proud of us, my ex-partner’s family more hung up on ‘keeping up with the Jones’ that mine was. My expenses increased, my partner started working as a contractor (although not really earning his keep – had more time not working than working!) – anyhow. I did try to kerb my spending and did save a bit more than 10% and we snowballed our mortgage down to near nothing. We split after some good years together and he went on to buy a big house and continue the status trip with a new partner. I downsized to a smaller house, cut expenses and started to increase my saving – I didnt realise how much I was spending on lifestyle inflation aspects until I honestly looked at my life. I started filling my NISAs and savings. Before I knew it I had snowballed my little mortgage away – wow – I could now direct that mortgage payment to savings & investments. I have learnt that money does not buy you happiness. I am more content now that I was when I was with my ex. I have money in the bank and my FI honey pot is growing nicely. According to the FI-o-meter I am either 2 years away (using very low growth figures) – or THERE! If I am conservative with my spending an expense needs – I could escape. Hurray!!!!!!!! I have reviewed my finances for Feb and found that I have a savings rate of 56% for the month. I have pushed money into my NISA and pension this month. My net worth has increased to 8% YTD which is good going, this is all down to my investment ‘honey pot’ growing well over the past month. Some nice increases in value and a few dividends received. Next month I will look to invest these dividends into some more shares to widen my diversity. I am still waiting for all the paperwork to come through so I can login and see what my new pension pot looks like. March already, the year seems to just fly by. Some spring cleaning on my investments is due. I have decided to buy some shares in National Grid this month. I have been pondering a purchase for a while but the price seemed high due to all the media recommendations to buy pushing up the price. I need to diversify my portfolio as I hold too much of one stock (shares from share saves and options from an old employer). So I now have 60 shares which will provide a small dividend later this year. The money for this purchase came from the dividends I received last month. The rest has gone towards paying a fixed amount off my BTL mortgage capital. I am not sure if that was a wise thing, I am sure there are a few FIers out there who think this is a stupid thing to do – but I have an adversion to debt in whatever form it is. I would rather save and own something outright that leverage debt. I know where I stand then. The tenancy is up for renewal so I am hoping that the current tenant wants to stay for another 6-12months, securing me some income for that period. The money I used to buy the BTL has so far earnt me more income that it would have as interest in a savings account. It also spreads my risks as I have an even split between property and stock investments. 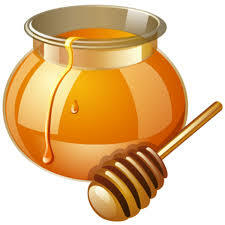 I need to keep focused on building up my ‘honey pot’ as an FI Bee. It will not grow bountiful and keep me sustained if I dont keep collecting the nectar and topping up the pot.